Assembling the air handling unit for a COOL-PHASE system. Cooling and ventilating commercial buildings drains money and energy. Monodraught’s COOL-PHASE® low-energy cooling and ventilation system reduces the running costs of buildings, creating a fresh and healthy indoor environment. Electricity consumption reduced by up to 90% compared to air conditioning with ventilation. 83 COOL-PHASE® units installed so far. Cooling for a 20-person room saves about 1.8 MWh of electricity per year. This is a ground-breaking innovation from an established business that has built up a reputation for its long term commitment to sustainable buildings in the UK. It is no exaggeration to say this could potentially change the whole ventilation and cooling market. While it is possible to design new buildings in the UK to keep cool using natural ventilation, there are many existing buildings that overheat in the summer. Offices and classrooms in older buildings are particularly prone to overheating, as the installation of IT equipment has added heat sources that were not present when the buildings were first designed. Insulation and draught-proofing, installed to reduce heat loss in winter, can make matters worse. As a result, ‘split’ air conditioning systems, which cool but do not ventilate, are often retro-fitted to such buildings, creating significant summer electricity demand, with associated higher CO2 emissions and energy bills. Monodraught has developed COOL-PHASE®, which combines controlled ventilation with low-energy cooling based on phase change materials, allowing both new and existing buildings to control temperatures without excessive energy use. Adding insulation to ducting for a COOL-PHASE® system. Monodraught was founded in 1974, and has had a focus on sustainable buildings for many years, with its WINDCATCHER® natural ventilation and SUNPIPE® natural daylight systems, and has built up significant expertise in these passive design solutions. 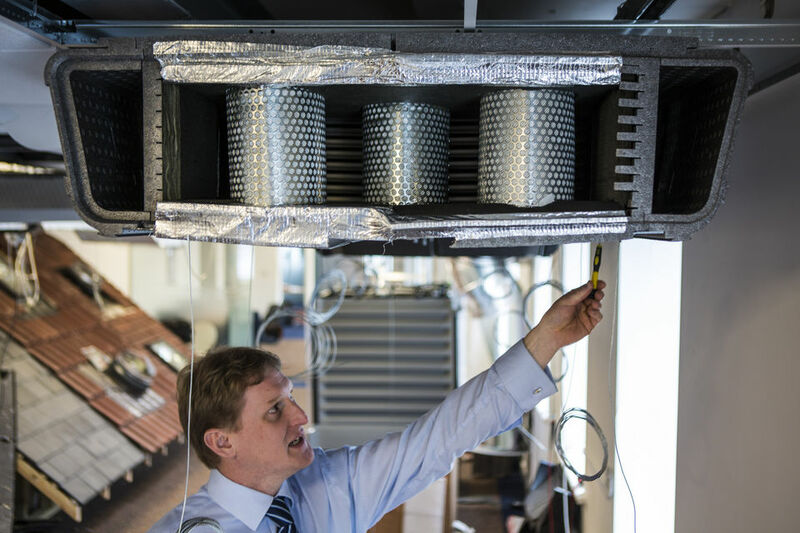 The COOL-PHASE® low energy cooling and ventilation system was launched in 2012, after pilot installations in 2011, allowing Monodraught to expand into a new area by offering a low-energy solution to clients with buildings prone to overheating. Its products are sold across the UK and increasingly overseas as well; Monodraught staff carry out most UK installations, with partner installers being used in Scotland and overseas. Monodraught is part of the Danish VKR group, but operates as an independent entity in most regards. COOL-PHASE® increases the effective storage capacity and improves efficiency by using it in an active system. COOL-PHASE® uses the concept of a ‘thermal battery’, which can absorb and release ‘coolth’ via the difference between night-time and day-time temperatures to regulate internal air temperature. This idea has been used in a passive way for many years, as ‘thermal mass’ in buildings, but COOL-PHASE® increases the effective storage capacity and improves efficiency by using it in an active system. The thermal battery contains metal panels filled with phase change material (PCM) which has a melting/freezing point around 20°C. 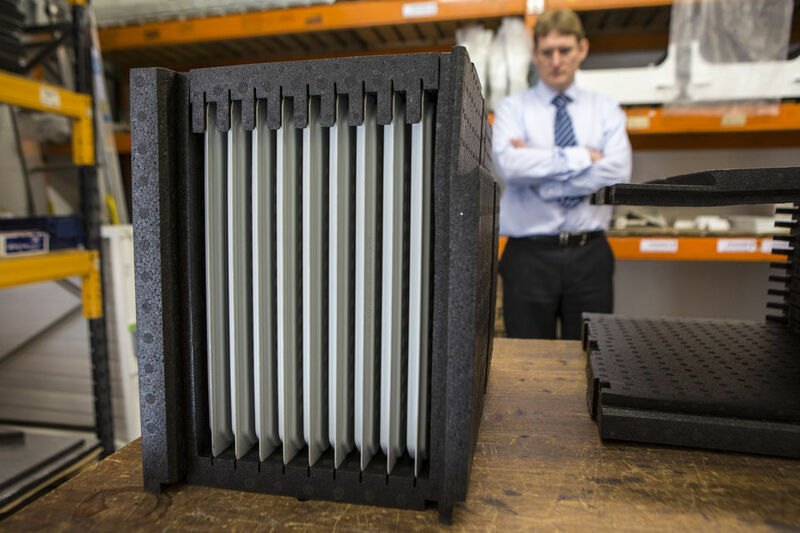 COOL-PHASE® thermal battery, showing the metal panels that contain the phase change material. The level of daytime ventilation is controlled by a temperature sensor and a CO2 sensor, with the latter being used to determine how much fresh air is required, as higher CO2 levels occur when more people are present. The required amount of air is drawn in from outside via a duct, and mixed with recirculated air from indoors before being expelled into the room, to reduce occurrence of cold draughts, particularly in winter. The thermal battery can also play a role in well-insulated buildings where overheating occurs in winter. A COOL-PHASE® system serving a room for 20-30 people costs around £8,000 including installation and commissioning. A split air conditioning unit for the same size room would cost about £6,000, but including mechanical ventilation could add 50-100% to this cost. COOL-PHASE® also has much lower running costs than a split air conditioner, cheaper maintenance and better durability. The design of COOL-PHASE®, and other Monodraught products, is continually refined to simplify production, reduce energy use and improve reliability. Monodraught designs and manufactures all its products in the UK, although some components are imported. 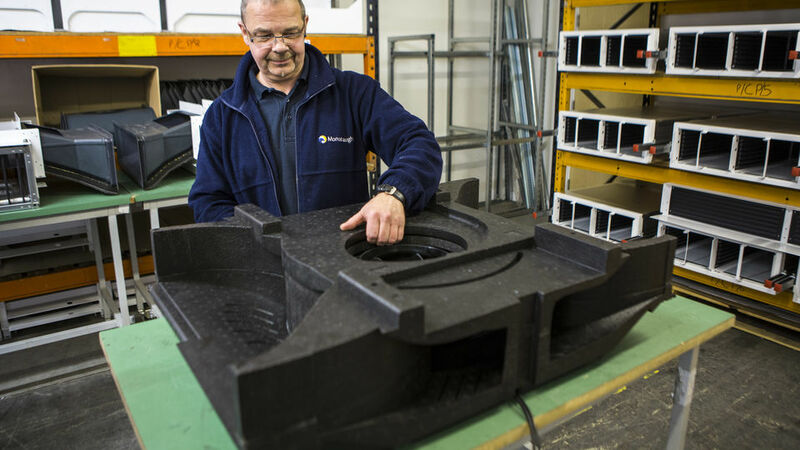 The larger plastic components of COOL-PHASE® are produced by sub-contractors using tools specified and owned by Monodraught, and assembly takes place at Monodraught’s headquarters in High Wycombe. The design of COOL-PHASE®, and other Monodraught products, is continually refined to simplify production, reduce energy use and improve reliability. COOL-PHASE® is sold with a 5-year warranty and has a design life of 20 years. Monodraught's technical director Nick Hopper. 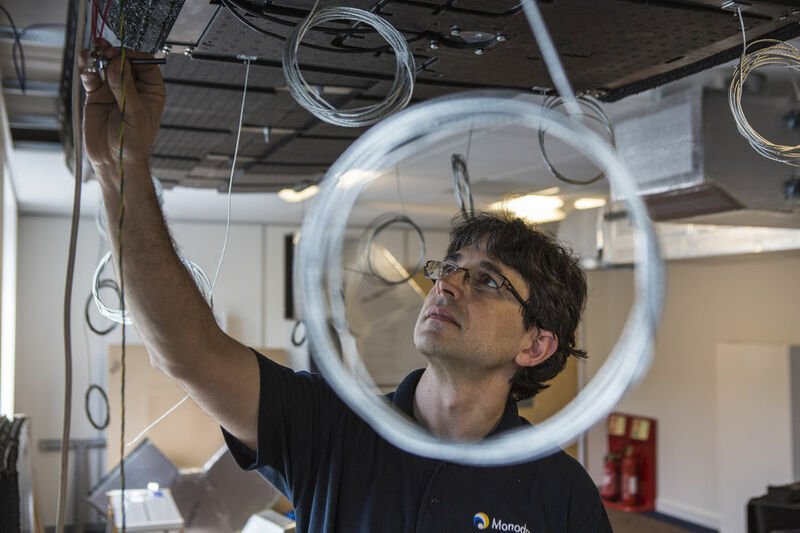 Maintenance of a COOL-PHASE® installation is relatively straightforward, as it has few moving parts and these have been sourced from suppliers known for their reliability. Monodraught recommends an annual service, which involves changing the air filters – this is important to prevent dust collecting in the thermal battery and reducing its effectiveness. The COOL-PHASE® controller logs data on temperature, CO2 level, fan speed and system status, and Monodraught visits installations periodically to collect data for use in their ongoing research and development. The logged data is also useful if a customer wants Monodraught to analyse the system performance and make any adjustments. By the end of April 2013, 83 COOL-PHASE® units had been installed, and orders for a further 22 had been placed. 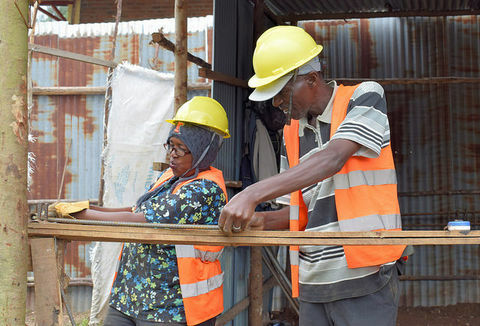 So far, the units installed have been evenly divided between new build and retrofit, although the number of retrofit customers has been higher, as they tend to install just one or two units, while new build projects specify a larger number. Each COOL-PHASE® unit can provide cooling and fresh air for about 20 people, so the installations completed are benefitting up to 1,700 people. The COOL-PHASE® units are performing excellently at this early stage, and I believe we’re reaping the rewards of being early adopters of this new technology. Monodraught has calculated that using a COOL-PHASE® unit to replace a split air conditioner and ventilation system able to handle cooling for a 20-person room saves about 1.8 MWh of electricity per year, equivalent to 1 tonne of CO2. The bulk of the energy saving is because the air conditioner must power a compressor, pump and fan, while the COOL-PHASE® unit only needs to power a fan. Careful control of ventilation provides further savings, especially during the winter, when heating can be reduced by avoiding over-ventilation. Unlike air conditioning, COOL-PHASE® does not require any machinery to be installed outside the building, and only needs simple vents to allow air in and out while excluding birds. This can improve the aesthetic appearance of buildings while aiding reliability by avoiding exposing machinery to the weather and eliminates noise complaints from neighbours. The chemicals used to produce the PCM are non-toxic and not harmful to the environment, although in practice they are always safely contained within the system in any case. Installing the COOL-PHASE ventilation system. 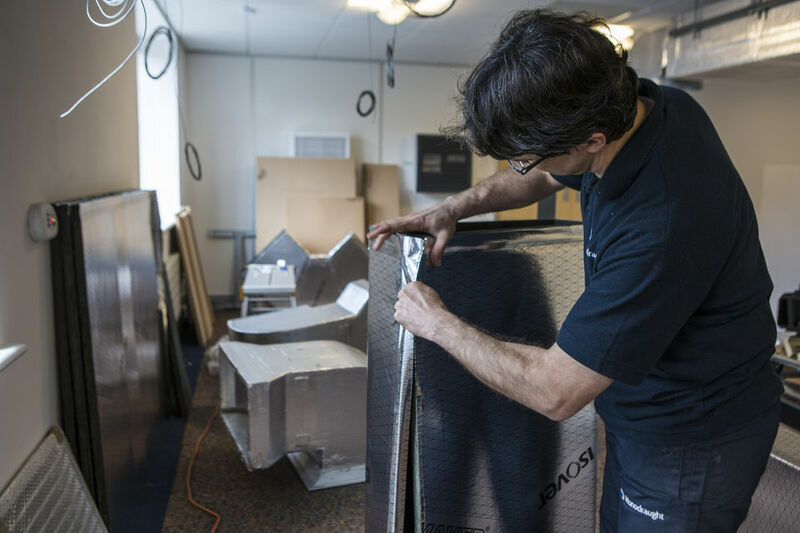 Monodraught works to reduce its environmental impact, using some of its products in its own building, and arranging its transport logistics to minimise CO2 emissions. The COOL-PHASE® systems do not add to the heat island effect by removing heat from one space and dumping it to another but operate under passive design principles. Monodraught works to reduce its environmental impact, using some of its products in its own building, and arranging its transport logistics to minimise CO2 emissions. 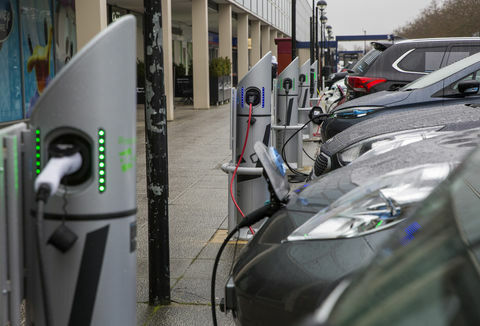 It also considers the environmental impact of its manufacturing, and is always looking for opportunities to reduce embodied energy in its products. A significant proportion of COOL-PHASE® units sold so far have been installed in schools, colleges and universities. As well as saving money for the customers, there are also benefits to the students, as research has shown that temperature and CO2 levels can affect concentration and learning outcomes, and COOL-PHASE® works to keep these within acceptable limits. As well as installing equipment in educational establishments, Monodraught has also had a long history of collaborating with a range of UK universities on research, sometimes paying for the work itself and at other times with government funding. It also regularly sponsors students, including time as paid interns, giving them valuable experience and providing a potential source of new recruits. Wall-mounted unit for a COOL-PHASE® system. 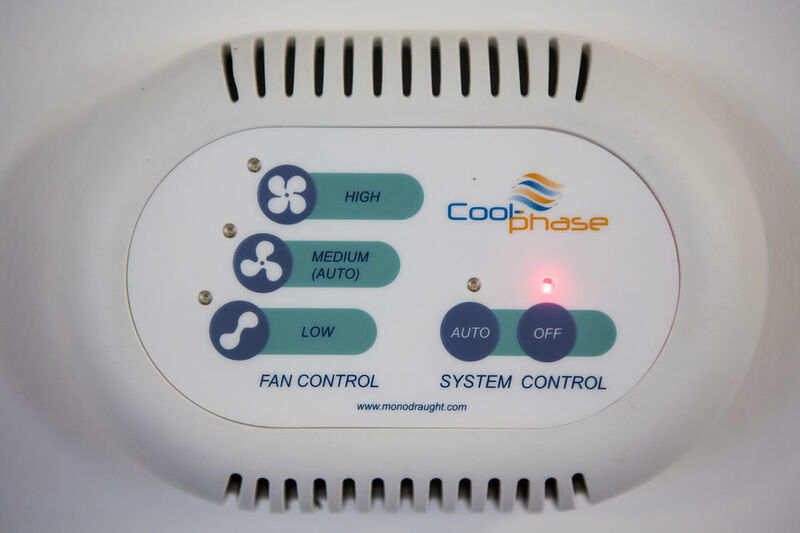 COOL-PHASE® is designed to last 20 years, while most air conditioning systems will only last about 10 years. For customers, the economic benefit of COOL-PHASE® is its lower operation and maintenance costs, which result in a five year payback compared to a split air conditioning system, and a payback of under three years when compared to air conditioning plus ventilation. Electricity costs are about £20/year, representing a cut of up to 90% on the cost of running a split air conditioner. Also, COOL-PHASE® is designed to last 20 years,while most air conditioning systems will only last about 10 years before repair costs make replacement advisable. The research and design programme for COOLPHASE® is continuing, with improved manufacturing and installation procedures on the way. 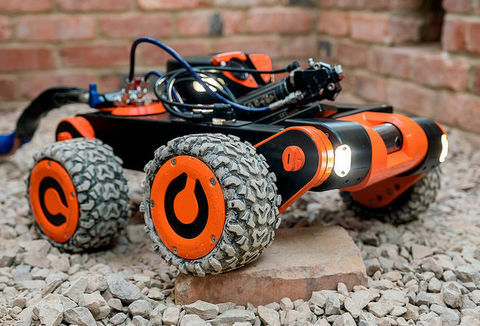 In future there will be an option to connect the unit to a heating system, removing the need for radiators and creating an integrated heating and cooling system. The potential for COOL-PHASE® to be used more widely in the UK is huge, as the annual market for air conditioning and mechanical ventilation is estimated to be £675m. There are a large number of split air conditioning systems installed already, and their relatively short lifetime means that opportunities to replace them with COOL-PHASE® units will continually arise. COOL-PHASE® is also installed in new buildings, where it can be advantageous to use different cooling and ventilation strategies in different parts of buildings depending on the uses they are put to. I think I’m in the right industry, as everyone’s going to need to use less energy in future, so products like COOL-PHASE® are ideal. Looking outside the UK, COOL-PHASE® is applicable in any country where summer temperature are high enough to require the provision of cooling and where there is sufficient difference between day and night external air temperatures. The melting/ freezing point of the PCM can be adjusted to suit different climates, and the target temperatures of the system can also be altered to suit local norms.